March 9, 2017 — In February, the National Republican Congressional Committee announced the first round of its Patriot Program, the system where GOP House members help raise funds to support those in the most politically marginal districts. Now, the Democrats have countered. The Democratic Congressional Campaign Committee’s leadership has included 19 incumbents in their Frontline Program’s first wave, an usually large number. AZ-1: Rep. Ann Kirkpatrick (D) won a similar version of this seat in 2008, lost it in 2010, and reacquired it last November when incumbent Paul Gosar (R) decided to seek re-election in District 4. With a 2012 victory percentage of only 49 percent in a district that Mitt Romney carried, Kirkpatrick can again expect stiff competition in 2014. AZ-2: Rep. Ron Barber (D) who replaced his former boss, then-Rep. Gabrielle Giffords upon her resignation, had a closer than expected regular election contest against Republican Martha McSally. With Barber only scoring an even 50 percent of the 2012 vote, expect a strong re-match effort from retired Gulf War veteran McSally. CA-26: When the California Citizens Redistricting Commission crafted this Ventura County district, they did so with the idea of making a marginal 50-50 seat. The goal was achieved, so freshman incumbent Julia Brownley (D) will continue to face strong competition likely for the rest of the decade. 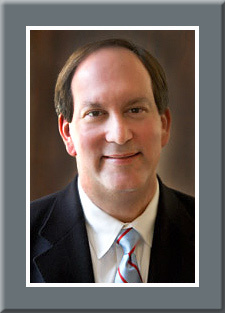 Former state senator Tony Strickland lost to Brownley in November and is considering seeking a re-match in 2014. Rep. Buck McKeon (R) deciding to retire in adjacent District 25, however, could attract Strickland to what would be an open seat. CA-31: Rep. Gary Miller represents the strongest Obama district in the country (57 percent) that elected a Republican congressman. He was fortunate to draw another Republican in the 2012 general election, but will likely face a Democrat in 2014. Redlands Mayor Pete Aguilar (D), who failed to qualify for the general election last year, is looking to run again. This will be a top Democratic conversion target. Los Angeles City Councilwoman Janice Hahn (D) won the special election for the right to succeed resigned Rep. Jane Harman (D) last night, though the margin suggests a potentially tough battle next year for the full term in a different Palos Verdes Peninsula-anchored district. Hahn scored a 55-45 percent victory over Republican businessman Craig Huey, a rather uninspiring win for a Democrat in a seat that gave 64 percent of its votes to President Obama in 2008 and saw only one national Republican candidate, George W. Bush in 2004, even reach the 40 percent plateau for a presidential election. Mr. Huey, for his part, out-performed all expectations from the very start of this campaign. Barely qualifying for the special general under California’s new “top-two” election law – the two highest vote-getters in a primary election, regardless of political party affiliation advance to the final vote – Huey ran a better campaign than expected and is relatively well-positioned for a regular election campaign in the post-redistricting seat. The California Citizens Commission on Redistricting crafted a proposed district for the South Bay region in Los Angeles County that is more favorable for the Republicans, even though the Democrats should continue to win here. The new district, as drawn but not yet adopted, is about 10 points more Republican than the current 2001 version. Since Huey came within 10 points of beating Ms. Hahn in the overwhelmingly Democratic seat, he has to be considered as a legitimate threat to unseat her in the more competitive district next year, assuming he again becomes a candidate. The turnout for the special election was 76,221 voters, or 21.9 percent of those registered to vote. That number is expected to grow as California normally receives a large number of mail-in votes that will be counted post-election. The new House now stands at 240 Republicans and 193 Democrats with two vacancies. The next two special elections in NV-2 and NY-9 will both occur Sept. 13. The special election to replace Rep. Jane Harman (D), who resigned her seat earlier this year to accept a position with a foreign affairs think tank, will be held this coming Tuesday. Early voting is currently underway and the preliminary numbers surprisingly show Republican ballots almost equaling Democratic absentees according to the first tabulation. It is, of course, unknown for whom each person actually voted, but does provide an indication about the total turnout trend. With a 45-28 percent advantage in voter registration over Republicans, Democrats should easily win this seat. The candidates are Los Angeles City Councilwoman Janice Hahn (D) and businessman Craig Huey (R). Mr. Huey is even a surprise to have advanced into the run-off. In California’s new top-two primary system, political party is irrelevant in terms of qualifying for the general election. In a district such as this, it was originally believed that two Democrats would be squaring off on Tuesday but Huey pulled the upset. Hahn’s campaign strategy suggests the race is close. She is running attack ads while emphasizing that she serves on the “non-partisan” LA City Council. This is a surprising approach for a candidate running in a district that so favors her own party. Even if Huey loses but comes close on Tuesday, this race should be a key target in the regular election, assuming the proposed redistricting map is enacted. Under the re-draw, what will be the new 36th district becomes much more Republican than under the current boundaries, suggesting a high degree of competition for next year. So, as in the upcoming NV-2 special election slated for Sept. 13, whoever wins this CA-36 vote on Tuesday will effectively mark the beginning of their campaign season and not the end. We will have much more on this race in our Monday update. Several weeks ago Ms. Hahn, a Los Angeles City councilwoman who has previously lost a race for Congress (1998) and another for lieutenant governor (2010), surveyed the district but refuse to publicize the results even while tepidly claiming that she led Huey “beyond the margin of error.” These actions suggest that the CA-36 special election is much closer than anyone would have originally believed. Hahn will still likely win this race, but it’s probable she will under-perform the Democratic average. Even if the councilwoman does prevail on July 12, the road to re-election may be quite difficult. The new Palos Verdes East seat, as the 36th has been named in the new redistricting plan, covers many of the same communities – Redondo Beach, Manhattan Beach, Torrance – but the new seat possesses a much more Republican complexion. While Barack Obama carried the new Palos Verdes East seat with 53.6 percent of the vote, under the old 36th district boundaries, the president’s number topped 64 percent. In the very close race for attorney general in 2010, an election the Democratic nominee carried by less than one percentage point statewide, the Republican nominee actually scored a 45-41 percent plurality within the Palos Verdes East boundaries. While Ms. Hahn now surprisingly finds herself in a competitive race, it is likely she will face a difficult re-election challenge even if July 12 brings her success. The Palos Verdes East seat looks like another of the more competitive districts that the new California Citizens Redistricting Commission constructed.